Tomasz Kowalski is part of a movement of young Polish artists embracing a form of “new surrealism.” His interest lay in the discrete hauntological aspects of the everyday and a paranoia towards reality. He expresses this discrete sensibility through a mix of parallel narratives and biography, and often collaborates with his family to make objects using various mediums. 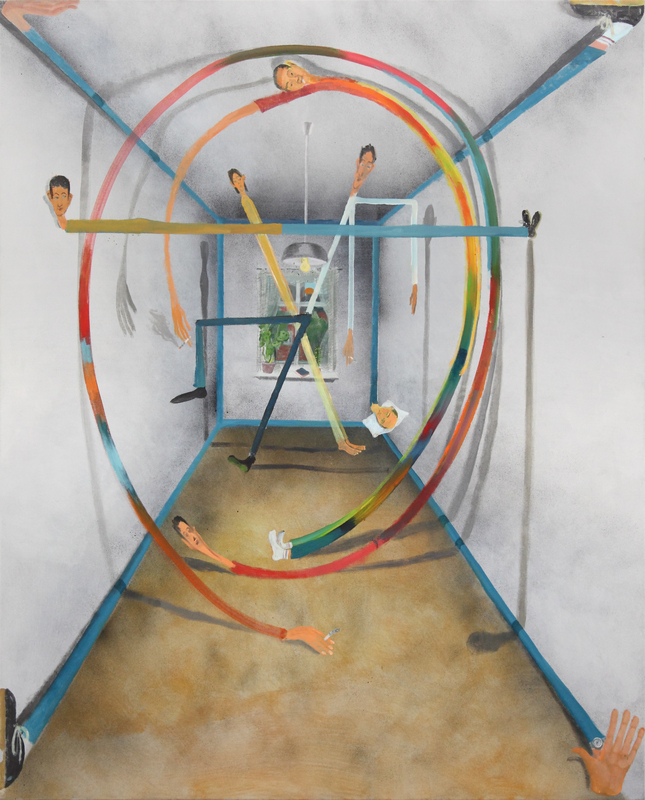 In Kowalski’s paintings, drawings, installations and sound pieces, the everyday morphs into the tragicomic, lending his imagery an enigmatic and psychedelic quality. 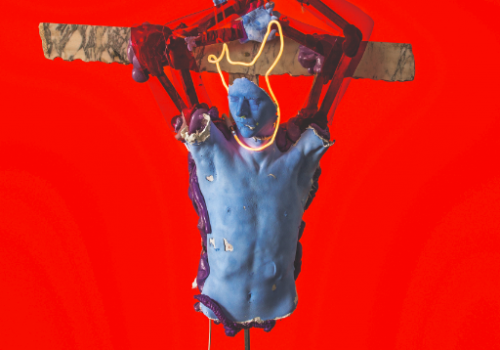 Tomasz Kowalski has exhibited work at Centre Pompidou, Paris; mumok, Vienna, and Contemporary Art Museum St. Louis, among others. Tomasz Kowalski, Untitled, 2018, oil on canvas, 65 × 45 in. (165.1 × 114.3 cm). 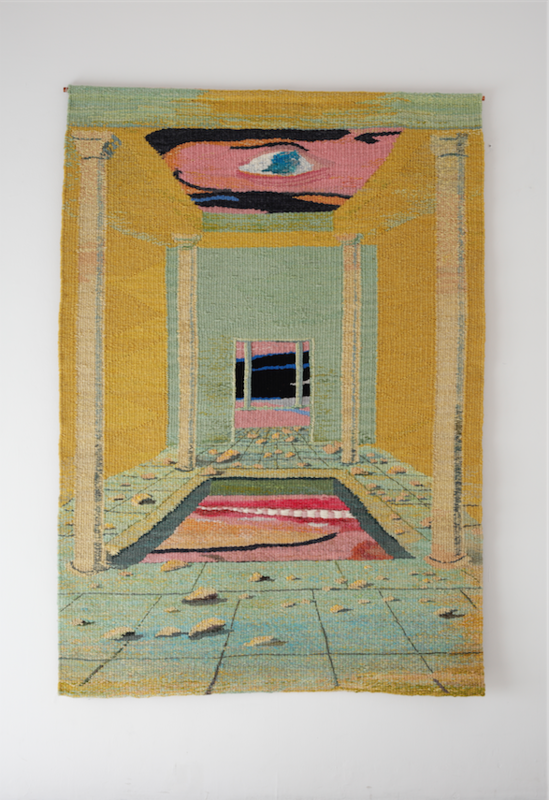 Tomasz Kowalski, Skarbiec (with Alicja Kowalska), 2018, tapestry, 76 × 51 in. (193.04 × 129.54 cm). 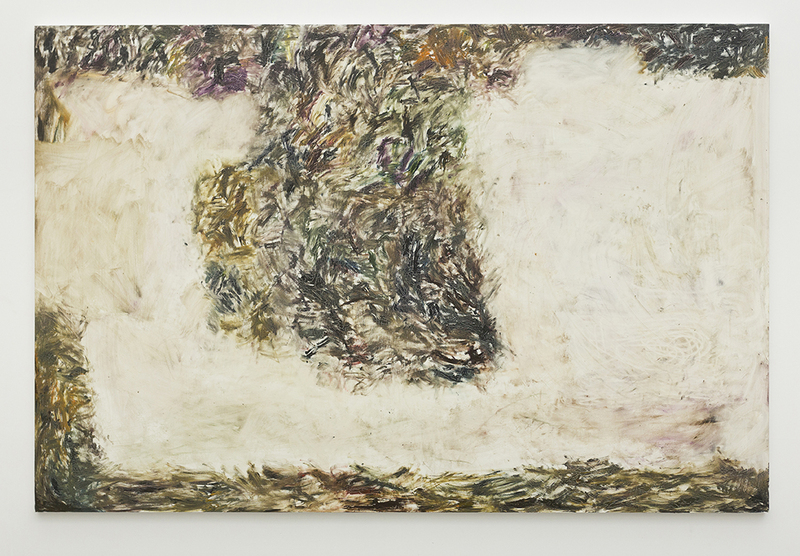 Tomasz Kowalski, Untitled, 2015, oil and acrylic on canvas, 55 × 47 in. (139.7 × 119.38 cm). 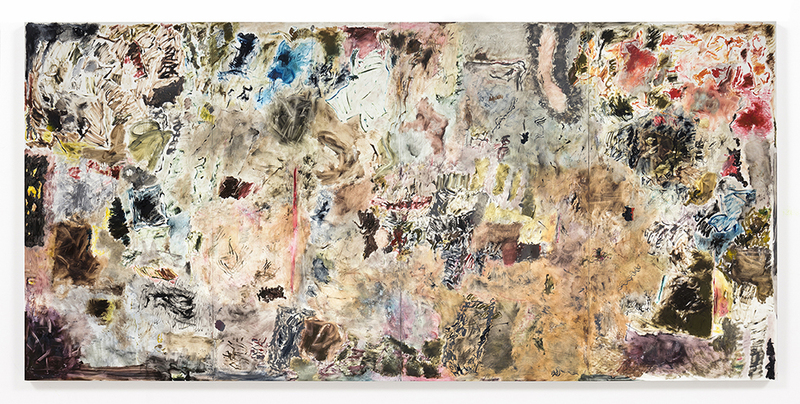 Tomasz Kowalski, Djinn, 2015, oil and acrylic on canvas, 63 × 51 in. (160.02 × 129.54 cm). 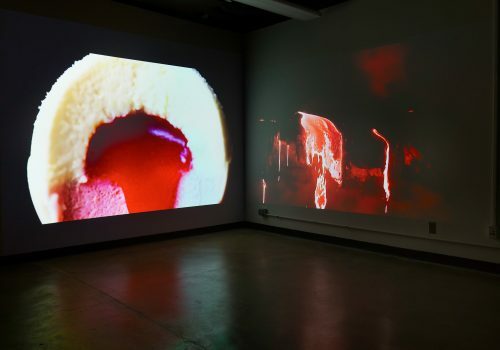 Tomasz Kowalski, exhibition view at Contemporary Art Museum St. Louis, 2014. 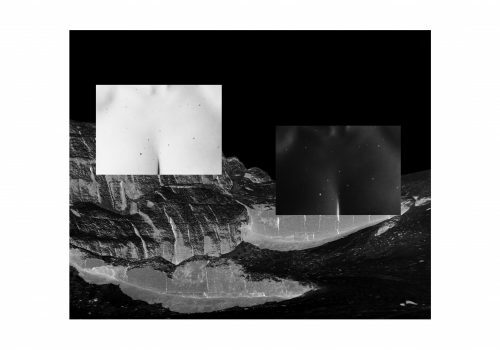 Alexis Dahan’s work is an examination of the different forms taken by the city’s erosion. He creates public interventions directly on the street by disrupting existing relations we have with common urban elements such as payphones, fire hydrant, pot-holes, fire alarms, news racks or cobblestone roads. 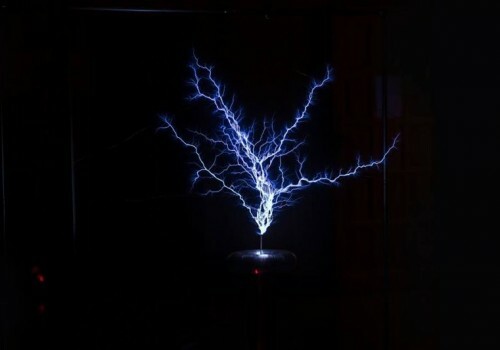 He also maintains a studio practice where he creates sculptures that use the manufactured urban object as raw material to give it a new form and a new purpose. Dahan uses charcoal drawing to document some urban phenomenon that he finds particularly engaging aesthetically. Alexis Dahan is a French artist and writer who has been living in New York since 2005. He completed his master’s degree in Literature and Philosophy in Paris and studied Journalism at New York University in 2007. 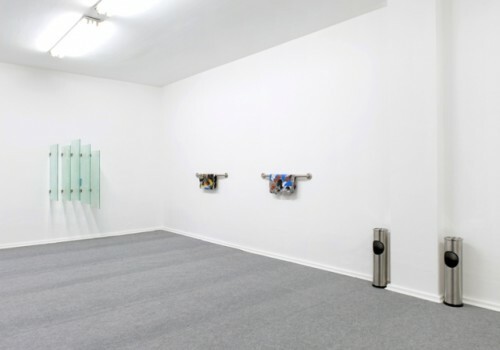 Dahan had his first solo exhibition at Half Gallery in 2012. 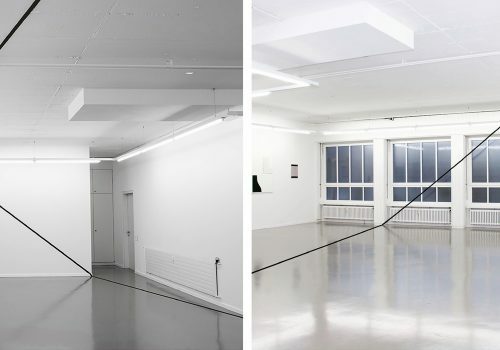 In 2013, Dahan’s installation We serve selected texts was installed at the entrance of Dia Art Foundation’s headquarters in Chelsea. 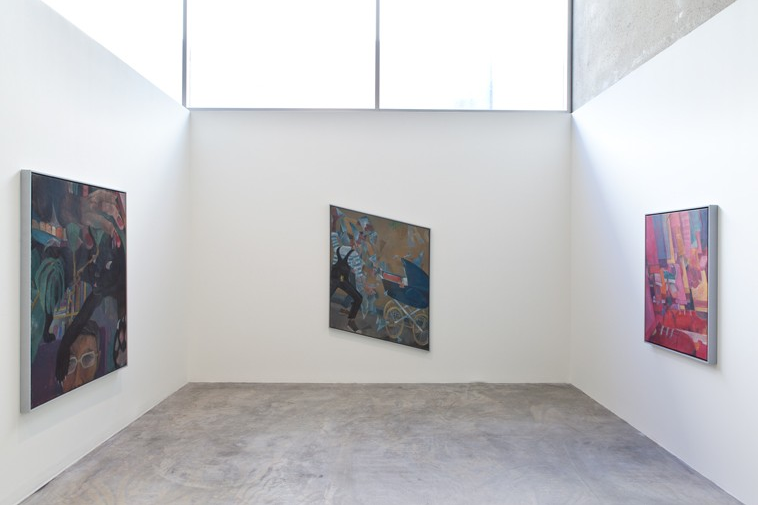 Since, Dahan has had several solo shows in the United States and Europe, including a commission by the Art Production Fund and an intervention with the Fire Department New York. He has conducted and published interviews with artists including Joseph Kosuth, Jeff Wall, Gabriel Orozco, Lawrence Weiner, Giuseppe Penone and Barbara Kruger. 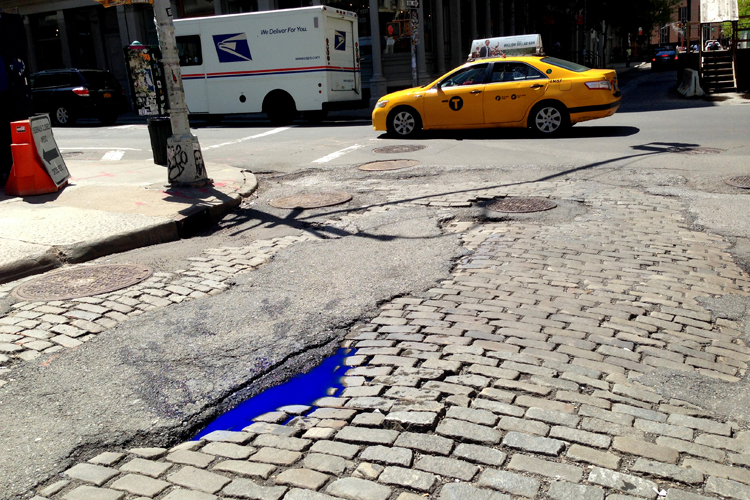 Alexis Dahan, Blue Puddles, 2014, Ultramarine dry pigments and water, Dimensions variable. 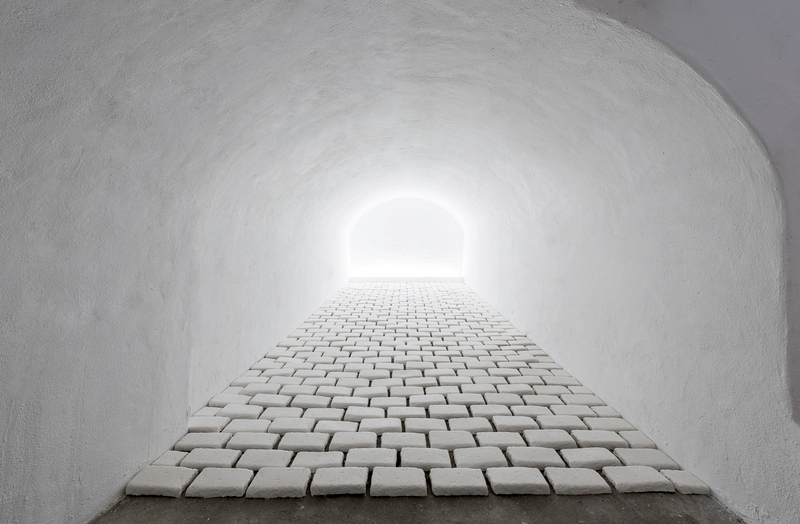 Alexis Dahan, Off the Beaten Tracks, 2016, Plaster, Dimensions variable. 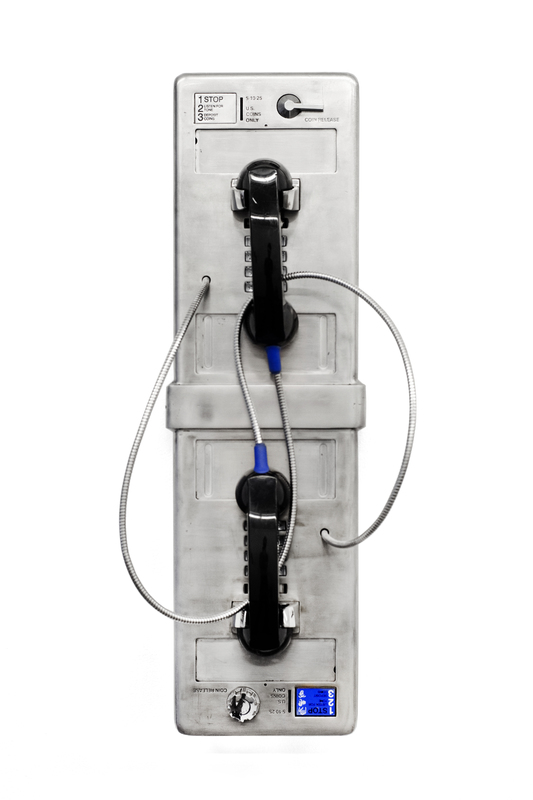 Alexis Dahan, Payphones (Symmetrical), 2015, Payphones, 29 × 9 × 3 in. (73.66 × 22.86 × 7.62 cm). 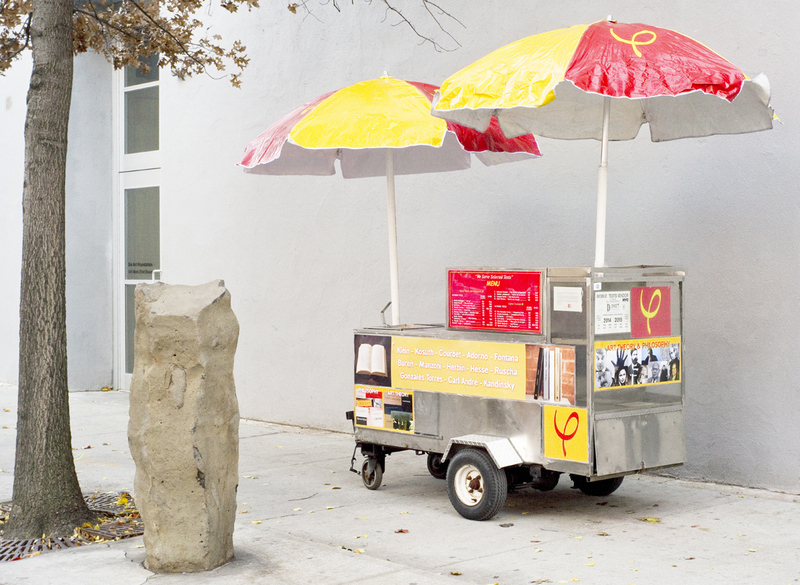 Alexis Dahan, We Serve Selected Texts, 2013, Hot dog cart, Dimensions variable. Joaquín Boz creates abstract paintings and drawings of various scales. He works with the different qualities that materials offer to tell stories in his pieces. 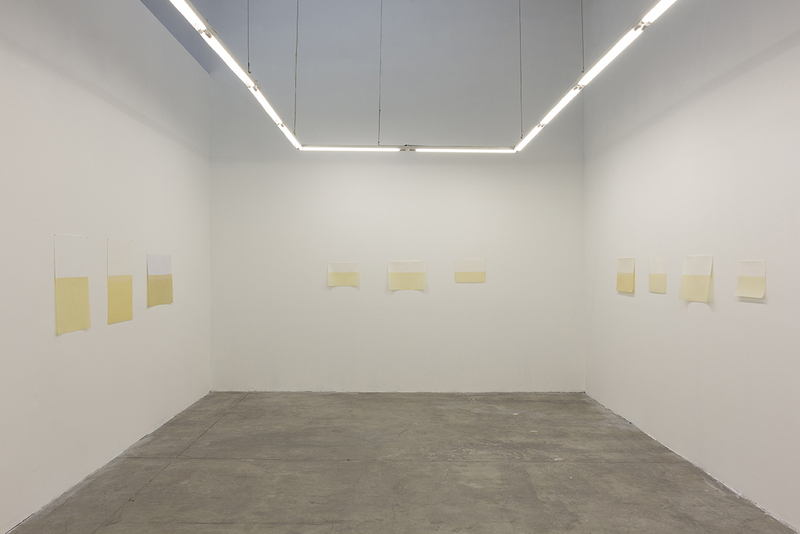 Boz’s paintings and drawings are the result of processes of ladening material. 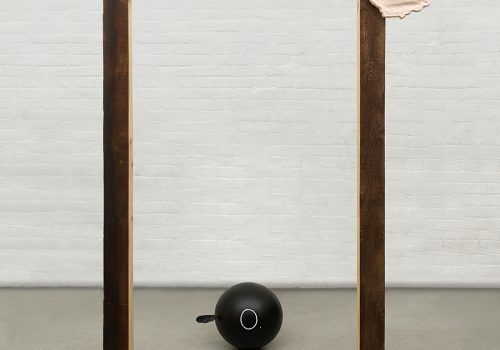 Joaquín Boz has exhibited work at Móvil, Buenos Aires; Steve Turner, Los Angeles; and Barro | Arte contemporáneo, Buenos Aires, among others. 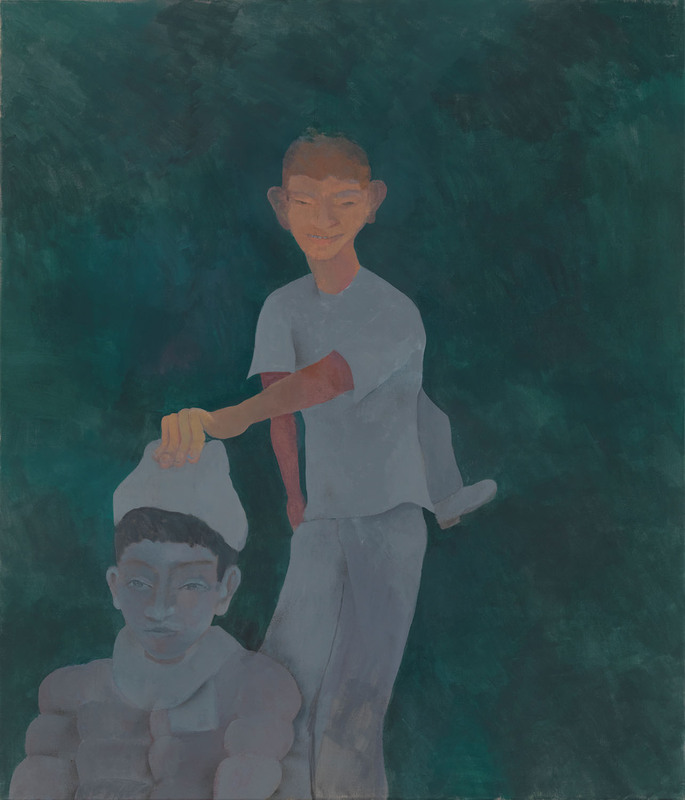 Joaquín Boz, Untitled, 2018, oil on panel, 7811/16 × 118 in. (199.9 × 299.72 cm). 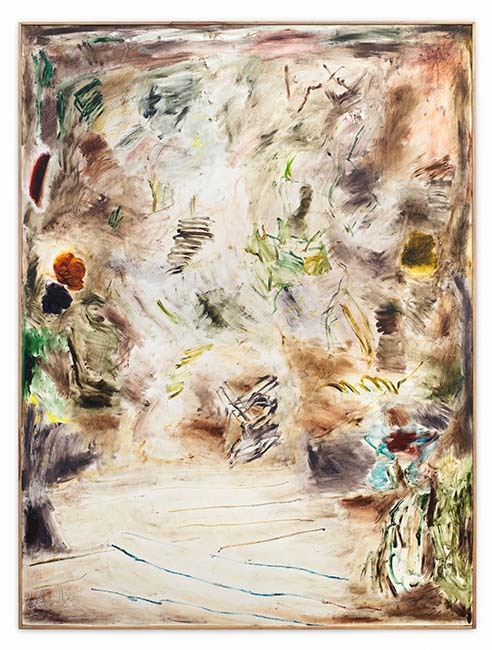 Joaquín Boz, Untitled, 2017, oil on panel, 120 × 240 in. (304.8 × 609.6 cm). 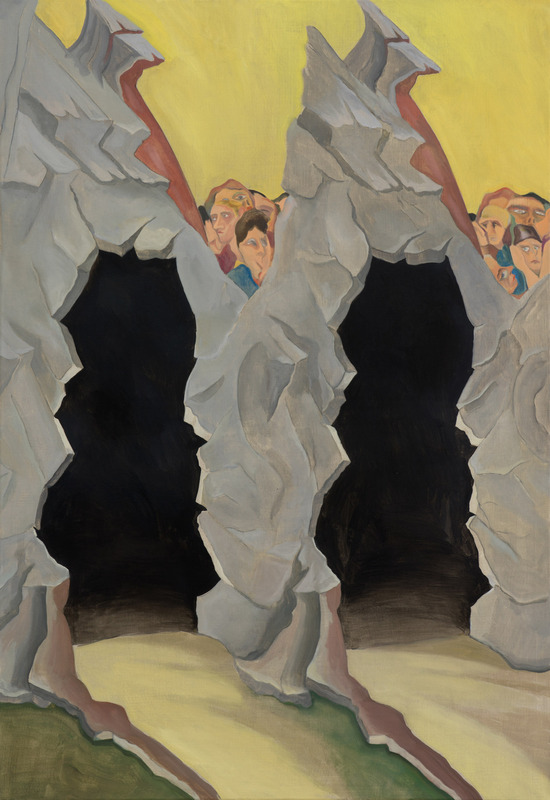 Joaquín Boz, Variations, 2017, oil on panel, 7811/16 × 59 in. (199.9 × 149.86 cm). 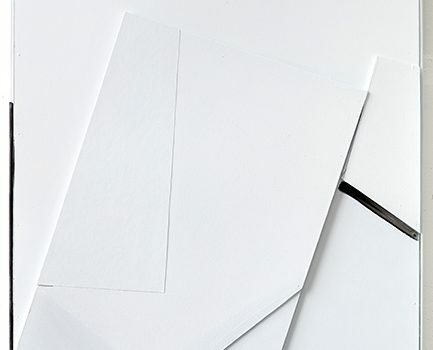 Joaquín Boz, Una Linea, 2018, paper in linseed oil, dimensions variable. 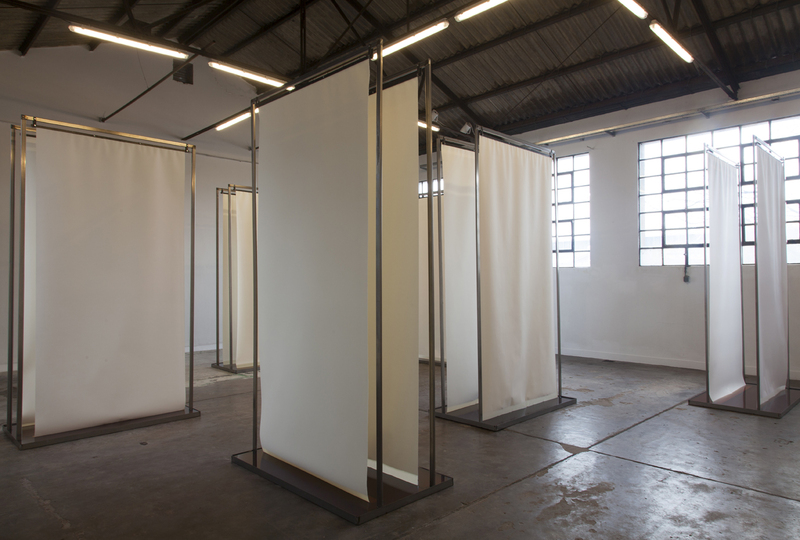 Joaquín Boz, Untitled, 2014, cotton paper, automobile oil and iron structure, dimensions variable.